Another recipient of our Grants to Artists program is City of Dreams Mini-Golf. 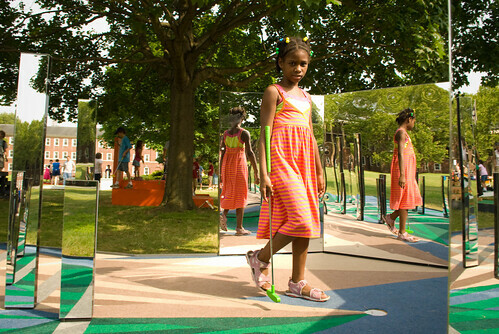 The nine-hole mini golf course is located on Governors Island – FREE and open to the public Fridays through Sunday until October 5, 2008. Nine different artists (or groups of artists) each designed and built one hole of the City of Dreams Mini-Golf. The project is an example of artists working separately, yet together creating a collaborative work of playable, interactive public art.